UWU im sorry its what *looks at post again* 0W0 OH HELLLLLLLLLLLLLLLLLL YEAH. I need to confiscate your black pens, razor blades and your furry costume. The hell is that suspension, looks like an offroady version of a trailing arm. Looks good. Basically a pivot connected to the frame of a car that's fitted with suspension? That looks amazing. Can't wait to test that suspension out. well, a bit creepy. not like in a staulky kinda way, but- i just think what you said was a bit over the top. Hey can we digeri-not derail a thread with UwUs? Please? Anywho. This looks wonderful, cant wait to absolutely demolish other vehicles with pure unaltered frame stiffness. Do you plan on adding a .50 Caliber like the one equipped to the D-Series Technical mod? Please stop, no one really want to see your inner degenerate. Wow I'm actually asking a serious question so you don't need to be rude. 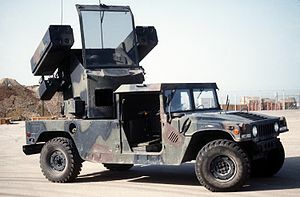 If you want REAL TOTAL DESTRUCTION mount a tank turret, machine guns and heat seeking missiles to it, also needs a giant bumper to ram wreckage out of the way, also has to be 6x6. it is okay i forgive you. Will there be military skins for certain countries ?